The various types of new detached bungalows and villas are spread over the park. You can choose a 4-pers. 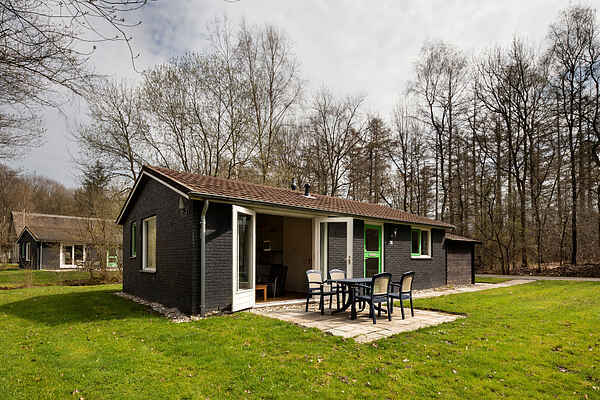 single floor bungalow (NL-7963-01), a 6-pers. villa (NL-7963-02), a 6-pers. wellness villa with infrared sauna for two persons and a sunbed (NL-7963-03) or an 8-pers. villa (NL-7963-04). All types, except for the 4 person, have two bathrooms and a gas fireplace. You have a garden with terrace and garden furniture. There is also a luxury wellness variation (NL-76930-06). You will find a Finnish sauna and jacuzzi in a separate outdoor space, there is free internet and one of the bedrooms on the upper floor has a flat screen TV and DVD player.